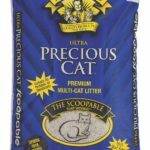 (2.5/5)Nature’s Miracle Single Cat automatic litter box automatically cleans the litter box after your cat uses it. Detection motion sensors detect when the cat leaves the litter box and 20 minutes later a rake pushes the waste into a plastic receptacle with a carbon filter to control odors. The unit has a sleep timer to put the machine “in sleep mode” for up to 9 hours to avoid noises while you are sleeping and it has manual cleaning activation if needed. 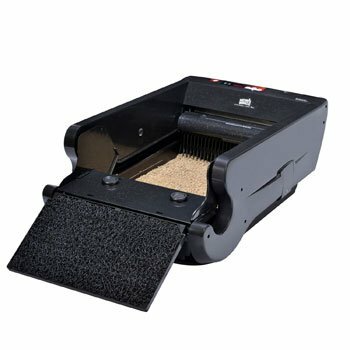 Nature’s Miracle Single Cat automatic litter box has high side-walls to contain spilled litter and a ramp to eliminate litter tracking. The rake is detachable for easy cleaning. The unit it’s plugged into the AC adapter outlet for regular power and it features a battery compartment for backup only in case of power outage (8 AA batteries not included). For best results it is recommended to use Nature’s Miracle clumping litter. √ Litter Level Measure Scoop. Once your cat has done its business and leaves the litter box, two detection motion sensors (each located on the sides of the litter box), they detect the cat leaving the box and then the machine starts a 20 minutes count to start cleaning the litter box automatically. On minute 20 a special rake starts sweeping the waste slowly to dump the clumps into a waste compartment which opens as the rake reaches the end of the box. The waste receptacle is attached to the litter box lid by pressure of two plastic buttons through the holes on the lid and it contains a carbon filter for odor control. The unit will not operate if your cat is using it. In case your cat re-enters the box before the machine stars a cleaning cycle, the unit will reset and delay for another 20 minutes. Green Power Indicator Light: Turns on when unit is plugged in and also displays current MODE (Standby – Normal – Cleaning – Low Power – Blockage). Red Sleep Indicator Light: Turns on when sleep mode is active; it blinks during sleep time. Digital Clock: Displays time; also displays sleep timer setting during sleep timer programming. Hour Button: To set the hour on the clock and sleep timer. Minute (Min) button: To set the minutes on the clock and sleep timer. Sleep Set Button: Used to set the sleep timer. Learning the advantages and the disadvantages of any device is a great help to determine if it’ll work for what we need it. The following list will help you to decide if this is the unit you need for your cat. Detachable rake for easy cleaning. Sleep timer keeps the unit from operating at night. High side-walls are not high enough to contain kicked litter. The waste container’s lid that goes attached to the top lid of the litter box comes off very easy, causing the waste to dump on top and make a mess on the floor. Cats stepping over the lid also creates the same problem. Rake does not reach the bottom of the litter pan and might not catch the clumps entirely. When rake dumps the waste into the plastic receptacle, litter gets dumped on the floor, between the receptacle and the box. If a cat walks on top of the On/Off button, it can turn off the machine. World’s Best Cat Litter works very good with the unit. Another good brand is “Tidy Cat Scoopable Instant Action”. The Nature’s Miracle Single Cat self- cleaning litter box seems to have some design flaws reported by customers. Some customers state they are satisfied with the performance of the unit but the majority of reviews from customers show they are not happy. 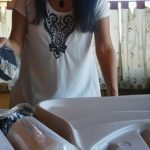 They state that the unit is loud, it gets stuck often and it has problems of spilling waste when trying to dispose it, whether because of flimsiness of the receptacles or falling from the lid. Adjustments to make the unit work better don’t seem to overcome the cons. 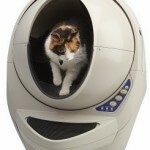 Based of customers reviews I don’t consider this unit as desirable as other automatic cat litter boxes.